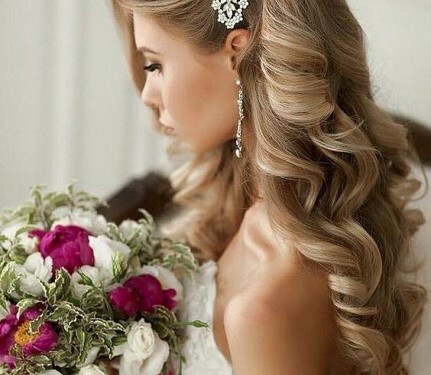 The last thing you need on your wedding day is a bad hair do! It may be easy to access a hairdresser but which one will match your impeccable plans? These tips will help you avoid embarrassment. Good work will speak for itself. Find a hairdresser who understands trends and has done work you deem impressive on brides and bridal parties. Budgets are always making people’s heads reel. The next thing you need to do is pay the hairdresser a visit or call them to find out whether they fall within your budget. You may be impressed but you need to be careful so that you don’t blow your budget. It doesn’t help if the hairdresser is good but cannot attend to you. Ensure they are available at the time you need their services. You can take up to six months to settle on the perfect choice especially if you have a specific person in mind that you’d prefer. You’d also like to know if they can come to your union’s location. This could help do away with the usual hassle on that day. good they are including their mannerisms. If the hairstylist is available for the trial, make arrangements to have it at least 90 days prior to your wedding day in case you opt for another hairstylist. Every bride will want to make a statement but not all of them know how to do that with their hair. Ensure the hairstylists have a wide array of creative hairstyles for you. It is crucial that they also understand what you want. You can also ask them to help you choose a hairstyle that will accentuate your look and compliment your bridesmaids without overshadowing you. Your bridesmaids aren’t meant to draw attention away from you. You’ve probably heard about a hairstylist that failed to show up last minute. It isn’t pretty. Find out if they have a backup plan in case circumstances which prevent them from attending to you arise. Weddings are about perfection. Perfect memories are created on this day for the couple, bridal entourage and onlookers alike. Take time to have everything in order. Careful planning will save you ugly imperfections. Check out our blog for more interesting facts.